In 2006, P.R.C. Elettronica fulfilled the new Power Distribution Automation and Remote Control System at Malpensa Airport. 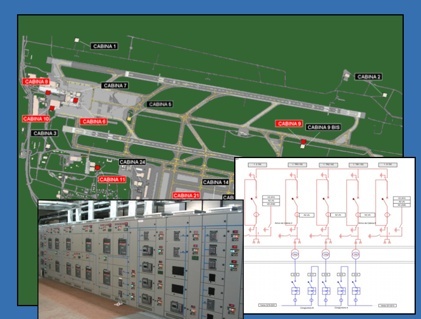 It's purpose is to supervise and control the entire power network of the airport, through a Supervisory Control And Data Acquisition System (SCADA) interfaced to equipment and devices installed in a distributed environment. The system is able to manage over 100,000 device points and store historical data and alarm events.